We explore the most extreme states of matter achievable on Earth, including ultra-dense solids common to the deep interiors of Giant planets and hot plasmas typical of stellar interiors. This new frontier in science is key to understanding the structure and evolution of the many recently discovered extrasolar planets and stars as well as several new material states such as the recently discovered hydrogen rich high temperature superconductors. This science frontier will also enable a more predictive control of extreme matter, such as in laboratory thermonuclear ignition experiments. 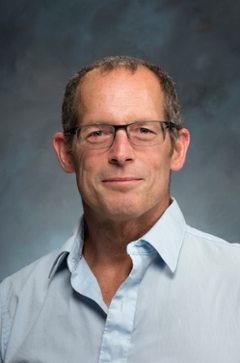 This frontier is rich with discovery thanks to several new experimental capabilities (including the Omega Laser right here at the University of Rochester 1,2,3,4) together with the push towards Exascale Computing. We work as a team, with scientists at institutions across the globe on several of these research directions, a few of which are discussed below. Time integrated photograph of one of our experiments recreating conditions in the deep interior of Jupiter. 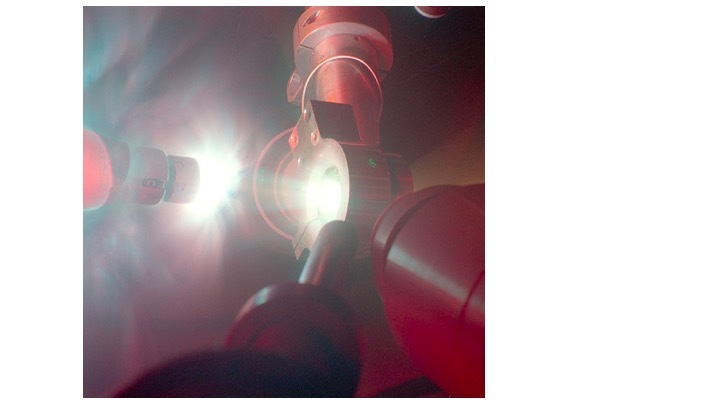 This photograph shows the Omega Laser launching a strong shock wave into a diamond anvil cell containing a helium/hydrogen mixture. More than 3000 extra-solar planets and many more stars have been discovered so far. How do we understand these objects? Which might be able to host life? How was our own solar system formed? What is the structure and evolution of our own Earth. To begin to address these questions we explore the physics and chemistry of matter at the extreme pressures common to the deep interiors of these massive objects. For example, we recently explored the deep interior states of Jupiter and Saturn, which is primarily composed of helium and hydrogen at many millions of atmospheres of pressure. We discovered that helium and hydrogen phase separate over a relatively broad pressure, temperature, and concentration regime. These results are forcing us to rethink the evolution models for these planets and perhaps our solar system. 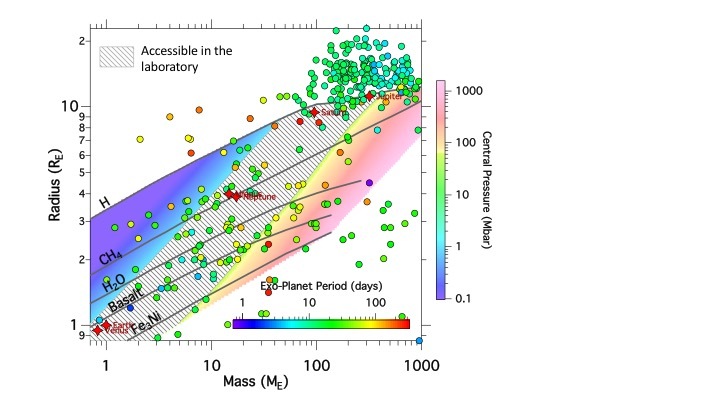 Exoplanet Mass-radius diagram6. 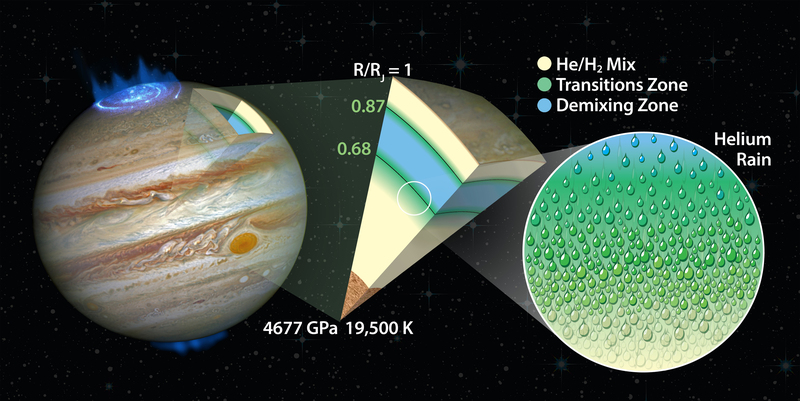 Many exoplanets have radii larger than expected, even for pure hydrogen. This apparent inflation may be due to the hydrogen EOS or transport. 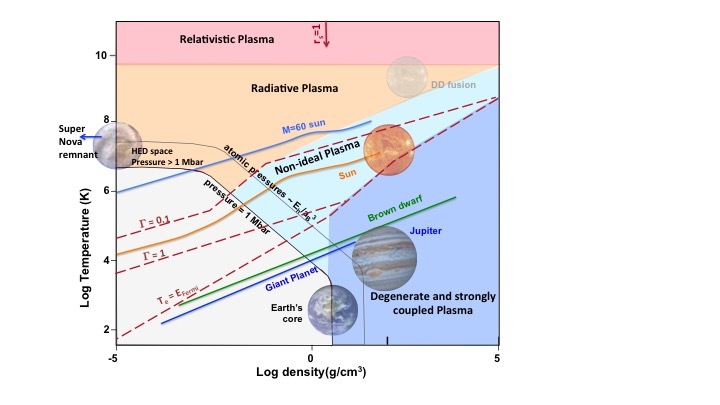 Most of the planets known today have internal pressures between 1 million to several billion atmospheres. We are exploring these conditions to better understand the nature and evolution of such planets. The HED domain is defined were the energy density (units of pressure) is above 1 million atmospheres (=1 Mbar=100 GPa=100 J/m3), which is comparable to the energy density of a chemical bond such as in a water molecule. Thus at and above 1 Mbar, chemistry as we know it changes. This has significant implications for matter deep in the interior of Earth, where pressures are near 4 million atmospheres. At conditions near 100 Mbar (~atomic pressures), the surrounding energy density is comparable to that of the inner core electrons, so the atoms themselves change. At pressures of several hundred billion atmospheres (100 Gbar), we reach the incipient stage of thermonuclear fusion, where the photon pressure is comparable to material pressure and where electrons become relativistic. High energy density physics regime: Solid color lines are calculated states for a few astrophysical objects. The constant pressure contours at 1 Mbar and atomic pressure have a radiation dominated-constant temperature regime at low density where radiation and plasma-electromagnetic correlations are important, a matter dominated-constant density regime important for planetary cores and dense quantum matter, and a region in between connected by T4. When coulomb energy is comparable to the thermal kinetic energy, Γ=1 , material correlations are important; Γ=178 is the estimated threshold for Wigner crystallization; and rs=1 is when the interatomic spacing is equal to a Bohr radius. Most all of the phase space up and to the right of P=1 Mbar is unexplored in the laboratory. Today we can create and explore in the laboratory, matter from Mbar to 100 Gbar regimes, opening a new frontier in science. The dense HED regime includes highly degenerate matter, with interatomic spacing less than the de Broglie wavelength. This is similar to the quantum regime achieved at low temperatures (e.g. Bose-Einstein condensation), however, unlike the low temperature analog, this HED regime simultaneously probes interatomic separations less than the Bohr radius. This opens an entirely new quantum mechanical domain where core electrons-not just valence electrons- determine material properties, give rise to core-electron-chemistry and enable a new structural complexity in solids.12,13 Potential exotic electronic, mechanical and structural behavior of such matter include room temperature superconductivity14,15, first order fluid-fluid transitions16, new insulator-metal transitions17, and more. HED conditions at higher temperatures underlie the birth and death of stars and the control of laboratory thermonuclear fusion. Take as an example the birth and cooling of a neutron star. The central part of a star ~8-20 times the mass of our sun, fuses its way to iron, and cannot go further since iron has the highest binding energy per nucleon of any element. As the iron core accumulates to ~1.4 solar masses, electron degeneracy pressure gives up against gravity and collapses. Initially the star cools by the rapid emission of neutrinos. The outer Fe surface layer (~109 K) gives rise to spontaneous pair production then reaches a temperature where the radiation pressure is comparable to the thermal pressure and where thermal pressure is comparable to coulomb interactions. We can now test fundamental states and processes integral to such stellar evolution with laboratory HED experiments. Finally in the low density but hot HED regime, where fluctuations and resulting dissipative effects are expected to be the great destroyer of coherent phenomena, recent discoveries show this is not always the case. Both observations of supernova remnants and recent colliding shock experiments show that self-induced fields in collisionless shocks can give rise to a rich variety of unpredicted coherent behavior. 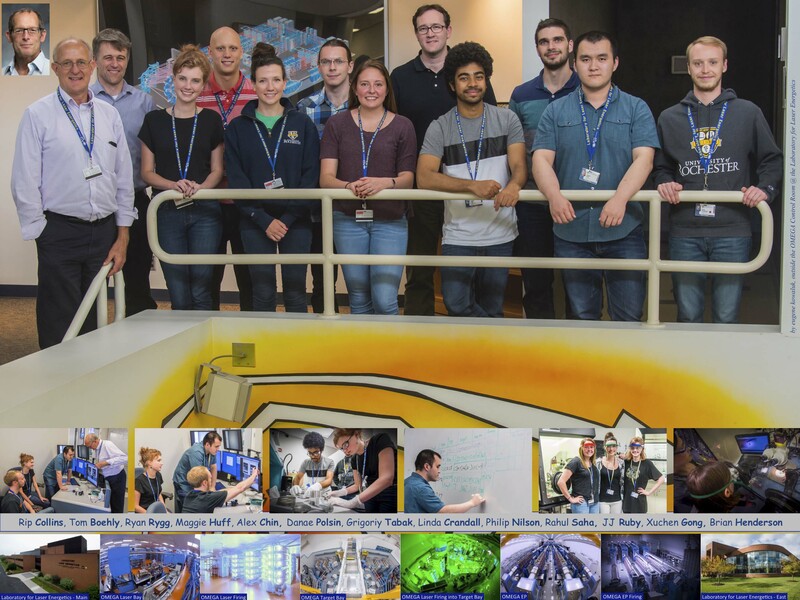 We are accepting new students in several projects in extreme materials, fundamental science of inertial fusion, and the microphysics of planets and stars. D. Swift et al., Astrophysical Journal, 744 (2012); J. H. Eggert, private communication. D. Fratanduono, et al. submitted to Nature Physics (come ask for a preprint)..
M. Millot et al., Science, 347, 418(2015). S. Brygoo, et al., submitted to Nature, (come ask for a preprint). F. Coppari et al. , Nature Geoscience, 6, 926-929 (2013). J. Neaton and N. Ashcroft, Nature, 400, 141-144 (1999). R. Briggs et al., submitted to Nature 2016 (come ask for a preprint)..
N. W. Ashcroft, Phys. Rev.Lett. 21, 1748-1750 (1968). A. P. Drozdov et al., Nature, 575,73(2015). S. Brygoo et al., submitted to Nature (come ask for a preprint). P. Celliers et al., PRL, 104, 184503(2010).